Tsuruta Kenji originally studied to become a photographer, but in the university he got acquainted with Hoshino Yoshinobu's works and they influenced him so much that he decided to become a mangaka. 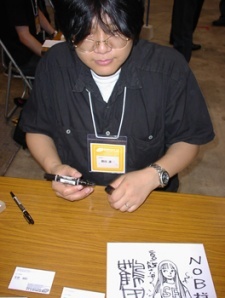 After a series of doujin publications, he officially debuted in 1986. Wandering Island vol 2 where? emanon is pure god-hood! check out the new-ish release of his wandering island - more great stuff. tsuruta-san draws some of the most beautiful women i've ever seen and his work is perfection - can't wait for more!!! I adore his art style. He captures a natural ambiance in his artwork. Truly an inspiration.